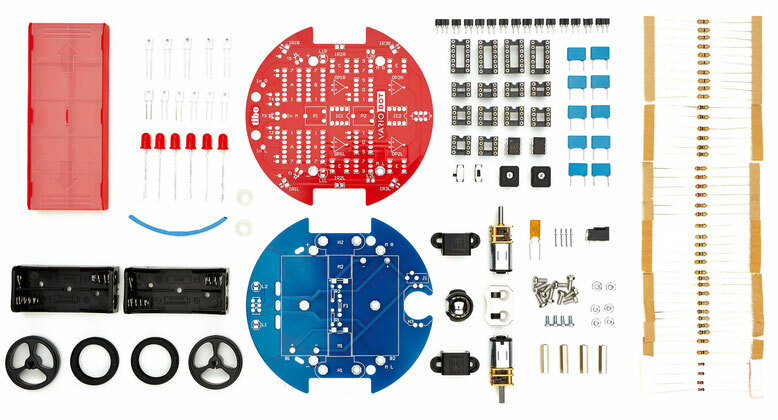 tinobo offers a new, exciting and playful approach to the fascinating world of electronics without the need for programming. Its patented sensor technology allows it to respond in a particularly sensitive manner to its environment and detect obstacles using only brightness contrasts. 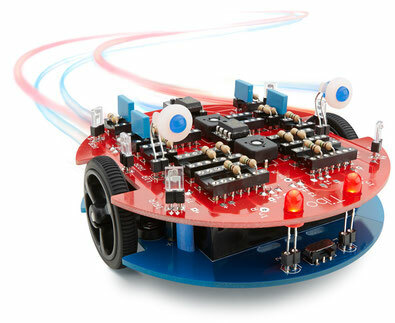 tinobo's first control circuits can be set up using only a few components following instructions and gradually expanded with increased understanding. With 56 slots and just as many interchangeable components (resistors, capacitors, diodes), the experimental platform offers countless possibilities to realise the most varied functions and reactions and to give tinobo a very personal character. After extensive testing and evaluation, our robot kit tinobo was awarded the prestigious spiel gut award. Many thanks to Arbeitsausschuss Kinderspiel + Spielzeug e.V., an independent honorary panel of experts. The University of Magdeburg closely examined tinobo for the online magazine Ratgeberspiel and awarded it 9 out of 10 points in general. In the test report, you can get more information on why tinobo is recommended as the kit to experiment with. "This may probably be the best/most complete kit I ever have build, everything is thought about, color pictures to help the build, templates to cut the components to size, even the black tape required for the line follower. Quality components. Excellent kit for educational purposes, I'm planning to use it with "Vehicles: Experiments in Synthetic Psychology, Valentino Braitenberg"
From the process of soldering to the first start - all necessary steps are described in detail in the construction manual and documented with numerous illustrations. The experiments guide shows the construction of three basic circuits, explains how they work and provides tasks for further experiments. With creativity and increasing understanding, complex behavioural patterns can also be realized. tinobo offers fun and variety for a long time! tinobo's "brain cells" are two operational amplifiers. They control the motors and can be variably and variedly wired via numerous slots with resistors, capacitors or diodes. The structure resembles a simple neural network with two neurons. It allows studying individual behaviour, as can be observed in simple organisms. 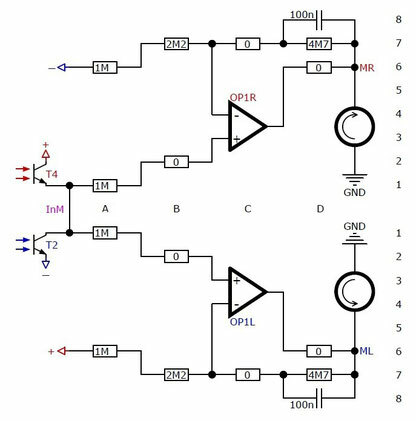 Two further operational amplifiers control tinobo's infrared LEDs. With them, it can react differently to reflective barriers and can "communicate" with other robots.